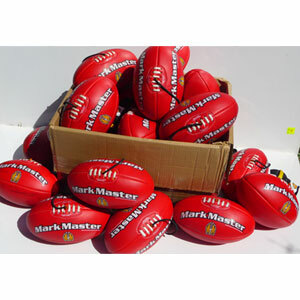 24 x Size 1 AFL Training Balls – Perfect for Auskickers and Junior AFL Players. Delivery is included in this price. We supply direct to Football Clubs and School’s. There is NO middleman to push up the price of the balls. 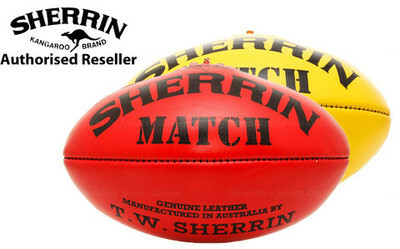 That Training Ball is an Australian Owned Company and the training balls are all designed here in Australia. For Coaches, do you want to see a MASSIVE Increase in the Football Skills of YOUR Players!!! Then this training ball will do that FAST. You will see AMAZING Results in just a matter of Minutes. 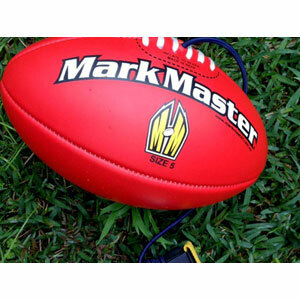 This size 1 Auskick training football is for children aged 4 to 10 years. Perfect for younger players just starting to develop their skills or new players to Aussie Rules Footy. You will be Amazed at how Quickly a player can learn to kick and catch a footy. These footballs have been specially designed, they are strong, tough and long lasting. Clubs and Schools get a very good price when purchasing a box of 24. 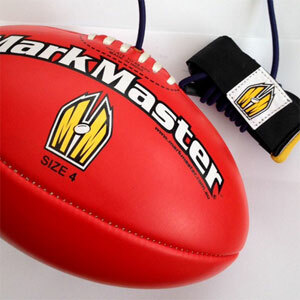 The Auskick training footballs sell for $39.95ea which includes postage. But if you buy a Box of 24 there is a HUGE SAVING. Price per ball drops to $33.30ea. That’s a HUGE SAVING … this is a Fantastic Deal for Auskick Centres, Junior Football Clubs and Schools. Don’t delay, as there is limited stock. 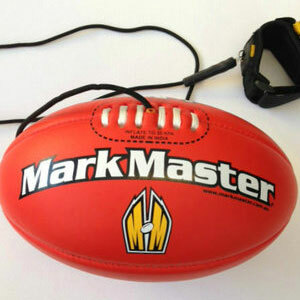 To order your Mark Master training balls, please email sales@thattrainingball.com.au or make contact by calling Greg. M0490 388 954 or 02 9399 3575, stating your name, address, state, post code, contact number and method of payment. Payment by EFTPOS, Direct Deposit (BSB 032 056 A/C 276 176), Cheque, or Cash. Once funds have been received, the footballs will be dispatched right away.